Parker Van Ostrand is a 10th-grader at McClatchy High School in Sacramento. He began studying piano at age four. At the age of five he performed at Carnegie Hall after winning gold in the AADGT Competition. He has returned to Carnegie Hall twice and has performed numerous recitals throughout the United States, Singapore, and Japan. As a concerto competition winner, Parker performed with the Merced Symphony, Central Valley Youth Symphony. and California Youth Symphony. This past summer he toured with the California Youth Symphony to the Baltic and Scandinavian countries. He was invited to perform with the Parnassus Symphony as a guest soloist in 2017. 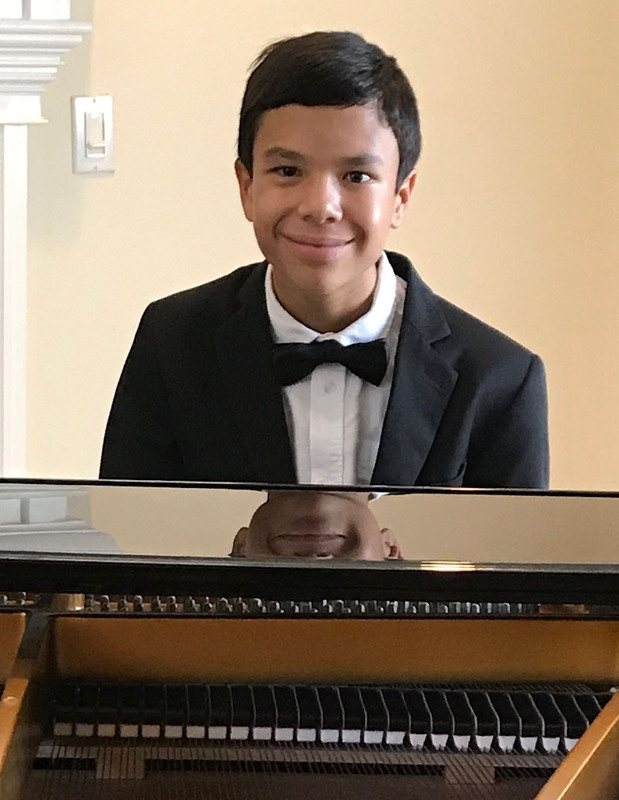 Recently he won first place at the 2019 Henry and Carol Zeiter Piano Competition, the 2018 Mondavi Young Artist Competition, 2017 MTAC State Final Concerto Competition, Pacific Musical Society Competition, and the US New Star Etude Competition. He currently studies with Ms. Linda Nakagawa and Dr. Natsuki Fukasawa. Besides piano Parker enjoys swimming, painting, building Legos, and learning Japanese. He runs cross-country and track at his high school. One of his goals is to run a marathon, in particular the Boston Marathon. He is also a member of his school Mathlete Club.